the issue soon as time is not on their side. The US and China are going at it economically, threatening to raise tariffs on one product after the other. Myrene C. Bedaño, regional relations and arrangements division chief of the Department of Trade and Industry-Bureau of International Trade Relations, said the upcoming Asean meeting in Singapore will surely have the looming trade war as one of its agenda. “It is highly likely that this will be touched upon by the leaders, as the issue [involves] geopolitical dynamics [that] is actually already challenging the global economy,” Bedaño told the BusinessMirror. She said the trade conflict between the US and China can halt the Asean’s momentum in establishing a formidable economic community. The two economies are politically and economically important to the regional bloc. For one, China is the Asean’s largest trading partner. The Asean-China Free Trade Area is the largest of its kind in the world and accounted for a combined market of 1.94 billion people and a GDP of about $9.5 trillion in 2011. Most of the Asean’s exports to China are electrical equipment, computers and machinery, lubricants and petroleum products, organic chemicals, fats and oils, and rubber. As the regional bloc’s largest trading partner, trade between the Asean and China amounted to $345.74 billion in 2015, or 15.2 percent of Asean’s total trade that year. The US is the Asean’s fourth- largest trading partner. In 2015 trade between the two was valued at $212.34 billion, or 9.4 percent of the Asean’s total trade. Most of the Asean’s exports to the United States are electrical equipment, computers and machinery, knit apparel, woven apparel and rubber. The Asean, for its part, imports aircraft, mineral fuel and oil, and optic and medical instruments from the US. With this, Bedaño said Asean leaders will certainly keep an eye on the looming trade war between the two countries. She also said they will most likely urge the United States and China to take it easy on enforcing new tariffs and to respect and abide by international trading rules. “I’m pretty sure that not only the Philippines is keeping a keen eye on the complex trade issue between the countries, especially that they are two of the most important trading partners of Asean. Asean will most likely encourage that existing issues be resolved within the ambit of established institutions of the multilateral trading system in the World Trade Organization [WTO],” Bedaño said. “Why is Asean observing and monitoring on this development? They are not just Asean’s trading partners but also political allies,” she added. Bedaño said Asean leaders need to address the economic tiff between the US and China as this might result to complications in the regional bloc’s economic drive. The Asean is currently trying to iron out a trade deal with six countries, including China, known as the Regional Comprehensive Economic Partnership (RCEP). Aside from this, some Asean member-states are looking at the opportunity of forging free-trade agreements (FTA) with the US, including the Philippines. “Economic-wise, lower exports volume, higher cost of doing trade and decrease in employment may become the negative repercussions [of a trade war],” Bedaño said. “This can disrupt the momentum of Asean as a region and individual Asean member-states may be hindered progress. As an inclusive and export-oriented region, Asean relies heavily on linkages and global value chain for their long-term and sustained growth,” she added. 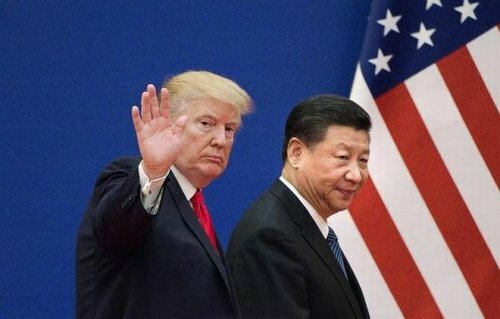 Talks of a trade war were sparked when US President Donald J. Trump enforced stiffer levies on steel and aluminum products in a move that further solidified his protectionist stance. He approved the imposition of higher tariffs on steel at 25 percent and aluminum at 10 percent in the face of left and right opposition from his Republican partymates and Washington’s trading partners. The policy is anticipated to take a toll on global trade, as the US is the world’s largest importer of steel. In 2016 it accounted for about 8 percent of steel imported globally, with the volume it imported at least 15 percent higher than that of Germany and South Korea, second- and third-largest steel importers, respectively. This was retaliated by China on the onset of April by announcing the additional tariffs it plans to slap on 106 US products. The tariffs, according to China’s Ministry of Commerce, are aimed at targeting up to $50 billion worth of United States products annually. Aside from this, the Asian superpower also filed a case at the WTO against the US for the additional duties on steel and aluminum products. It argued the levies violated the General Agreement on Tariffs and Trade of 1994 and of the Agreement on Safeguards. Aside from the trade conflict, Asean leaders will also discuss the progress and prospects for the RCEP, which the regional bloc, along with other negotiating-countries, are keen on concluding this year, according to Trade Secretary Ramon M. Lopez. The RCEP is the Asean-led trade deal with Australia, China, India, Japan, New Zealand and South Korea. Positioned as the counterpart of the Trans-Pacific Partnership, the RCEP is aimed at consolidating Asean’s bilateral FTA with the other six negotiating states. In 2016 RCEP economies combined for a population of 3.53 billion people, GDP of $23.8 trillion and GDP per capita of $6,759. In an interview with the BusinessMirror, Lopez said Asean economic ministers will sit down during the summit to talk about the future of the RCEP. Talks on the proposed agreement are seen to face difficulty this year, with one of its negotiating-states engaged in a trade conflict with another superpower. Lopez said, however, that the regional bloc is confident it can finalize a working deal before Singapore ends its hosting of the summit. He also said RCEP negotiations are now headed for the “tougher” portions of the trade deal, such as the sensitive list and trade in services, which means talks are gaining headway the past months. The 32nd Asean Summit will gather the regional bloc’s top leaders in Singapore from April 25 to April 28. This year the meet will focus on the resiliency and innovation of Asean member-states, as the world faces yet another period of political and economic challenges.